IFRSs are at the core of accounting world. With over 113 countries on board a need for qualification in IFRSs and their implementation was automatic. ACCA came forward and offers several routes to get started with IFRSs get certified and be recognized in your organization that you are proficient in IASs and IFRSs. If you fulfill any of the above requirements then you are good to go. 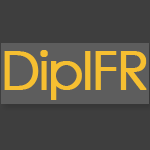 Overall DipIFR includes almost all of the standards i.e. IASs and IFRSs issued by IASB and students are required to not only have good knowledge of their requirements but also how to apply them under different circumstances. This exam can be taken at any registered ACCA exam center. To best prepare for your Diploma in International Financial Reporting we offer various learning possibilities that help you effectively and efficiently ace the exam. With our free study notes, video lectures, online tests and tons of other resources all you need is hard work.